There are times that we were forced to do the things we doesn't want to do. Sometimes it takes something to be broken just to keep safe on the other hand. 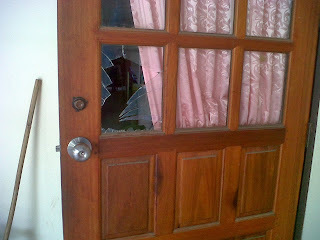 This is what happened to our door a couple of days. 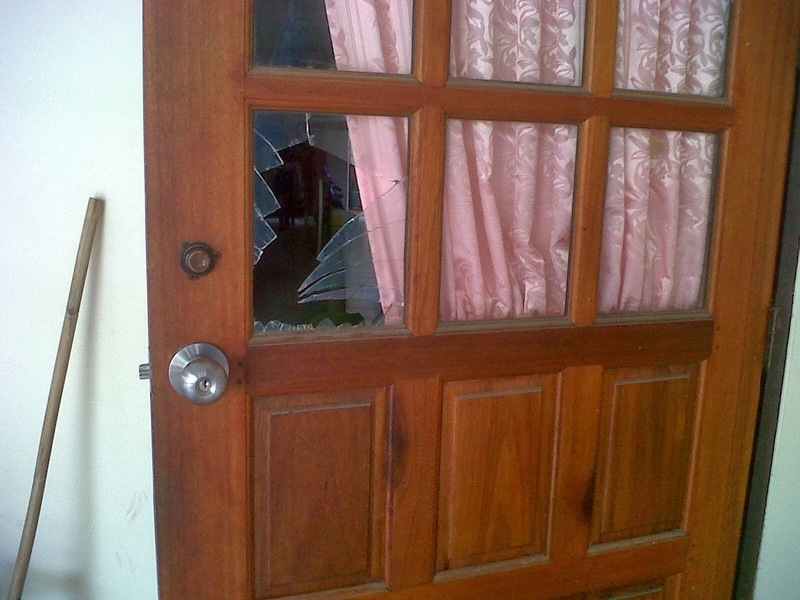 My wife forcefully broke our front door. Our little Jaden purposely locked and close the door unknowingly he will cause a huge trouble if things comes worst. My wife went outside to get some green veges planted in front of the house and our son followed her but happily closed the door. My wife was cooking and if she will wait for me to come home it will take an hour before I get home. She tried to borrow our neighbor's mobile phone to call me but unfortunately she can't memorized my phone number. With the thought that we will be in great trouble if they will stay longer outside because the stove is open and she's worried that the one she's cooking will dried up so the last option and I think the best option to do was to break the door.